Intimidated by Indian food or never tried it before? 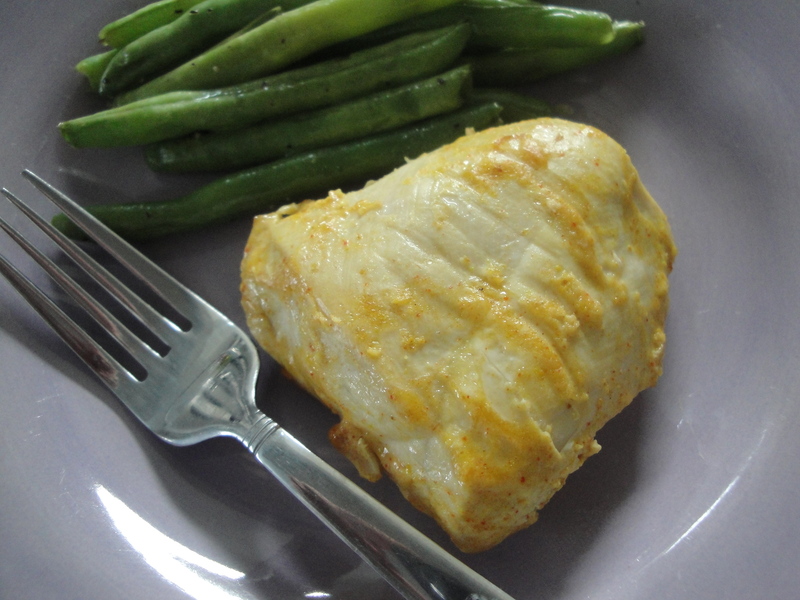 Maybe you should try this chicken dish: Tandoori-Spiced Chicken. Tandoori chicken is a common Indian dish made of chicken coated in a spicy yogurt marinade. This is a great dish to try if you are at all interested in trying Indian food but you just can’t bring yourself to try curry yet. There is no curry in this recipe but instead has other spices common in Indian cooking. 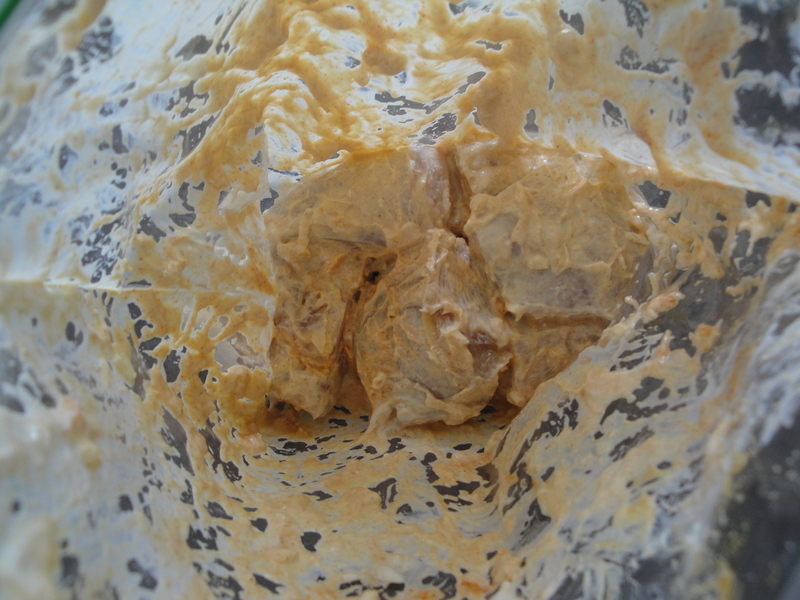 This marinade is made of Greek yogurt (the recipe calls for 2% reduced-fat yogurt but I used non-fat yogurt), onion, ginger, cumin, red pepper, turmeric and garlic. 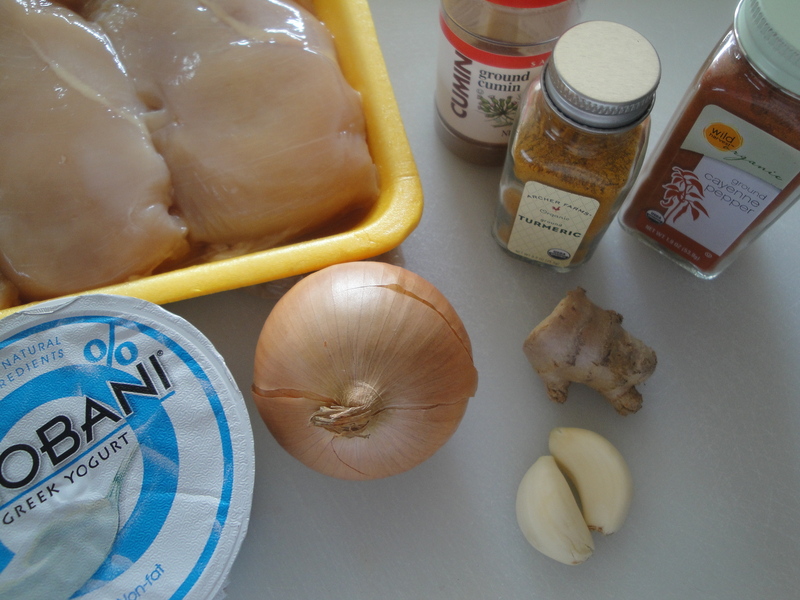 The chicken marinates for 2 hours and is then broiled until it’s perfectly cooked. This chicken is spicy, flavorful and perfect if you are watching your carbs (or even if you aren’t). 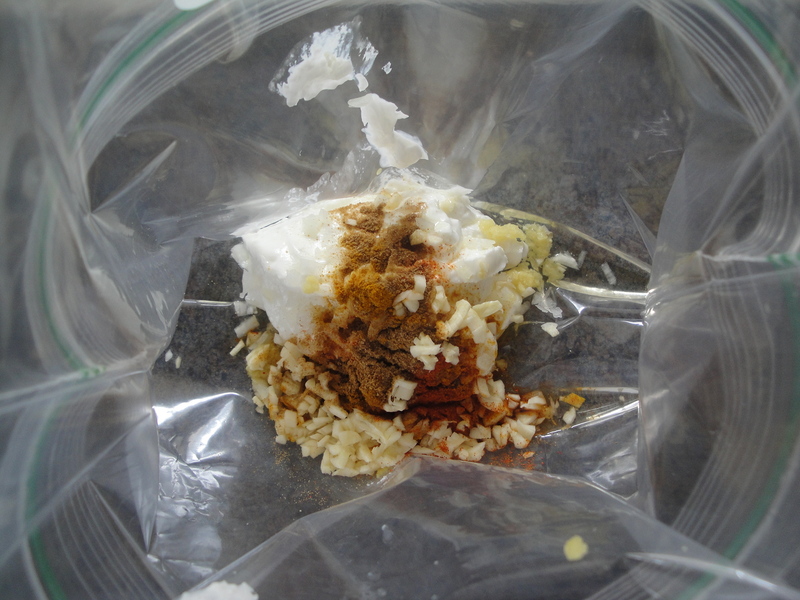 In a large zip-top bag (like a freezer bag), combine yogurt, onion, ginger, canola oil, spices, and garlic. Add in the chicken breasts and zip the bag closed. Massage the bag so that all of the chicken is coated in the marinade. Refrigerate for 2 hours. 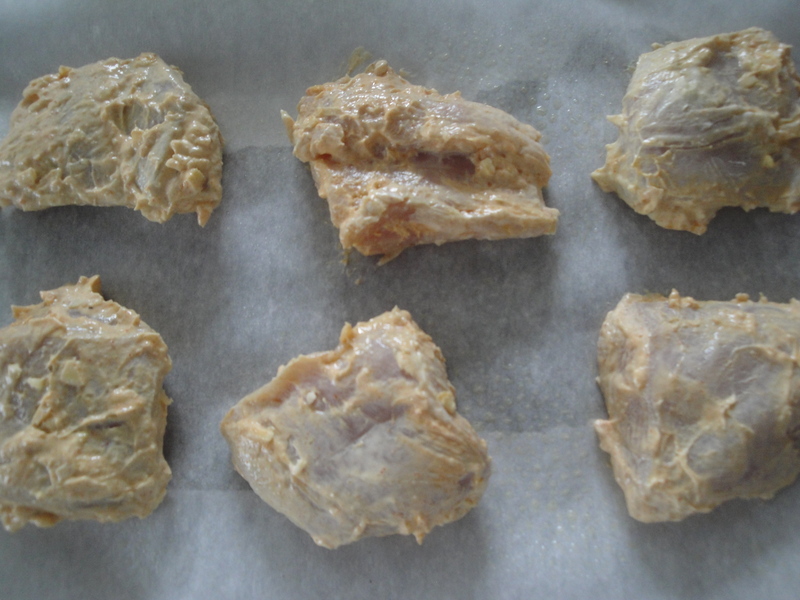 Remove chicken from the bag and place on a baking sheet coated with non-stick spray. Sprinkle chicken with salt and place into the lower part of the oven set to broil. Bake chicken for 20 minutes, flipping after 10 minutes. 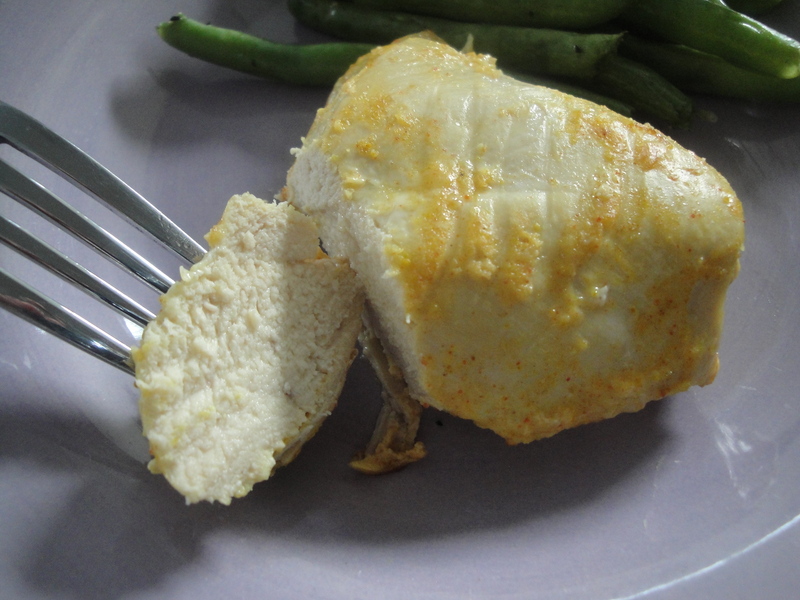 Make sure chicken is fully cooked to 165°F to 170°F.